Some of the best parties of the year happen around Halloween time - everyone can cut loose, and enjoy a day or evening of festivities in costume. Getting to dress up is what sets apart Wisconsin Halloween Parties from gatherings during the rest of the year - whether you’re attending an after hours masquerade for adults, or a family friendly gathering filled with candy and activities for the kids. Wisconsin Halloween Parties are something that can be enjoyed no matter what your age, as long as you’re ready to enjoy as many tricks as treats! 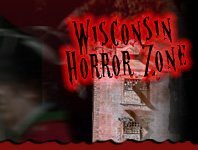 Halloween-Underground DJ's Halloween Extravaganza Wausau 240 days ago Rate Now!